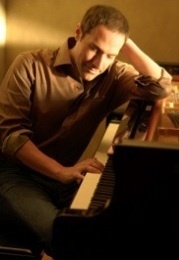 Jim Brickman taught me the meaning of the word escape. I don’t mean by the ESCAPE — the Platinum-selling recording artist’s debut album for the SLG label — though it certainly contributed to my own “creative epiphany,” a term Brickman uses to describe how he came to record his new soundtrack for busy lives. Inspired by a young couple who confided they used his music to relax and unwind after a stressful day, the multi-talented composer and concert headliner says he realized people need music for all kinds of reasons. He acknowledged its value as a healing tool and soothing antidote by gathering together some of today’s brightest young rising stars to create an original collection of romantic piano solos and inspiring vocals. My own epiphany, however, struck after speaking with Jim by telephone in preparation for this article. I’d interviewed Jim once before — nine days after 9-11, in fact — for an earlier feature on his first book Simple Things, and its same-titled CD. This time, though, felt remarkably different, and one of Jim’s comments helped me discover why. And here I’d been worried he’d think I wasn’t asking enough questions about his new album. But, it wasn’t my style to ask the same questions I knew he must be asked over and over again. I like to dig deeper, to read all the other interviews and then ask the unexpected, to find that one question no one else has asked before. Ironically, this time when I sat down to write the article, I found myself staring at a blank computer screen wondering how I possibly could distance myself from this story. How could I make the writer “invisible” as my professors taught so many years ago, when Jim Brickman’s music — and how it came to seep into and wrap itself around my own family members’ lives — had become so deeply personal? In addition, another rule beckoned: With Brickman’s host of accomplishments, where was my slant? His concert and latest CD? 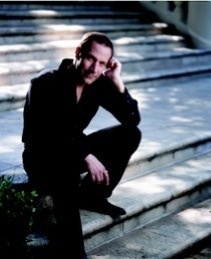 His ability to seamlessly cross genres while keeping close the very essence of what makes Jim Brickman’s music unmistakably Jim Brickman’s sound? How he’s changing not only the music industry but entertainment’s landscape in developing and opening up new paths connecting artists directly with their fans? 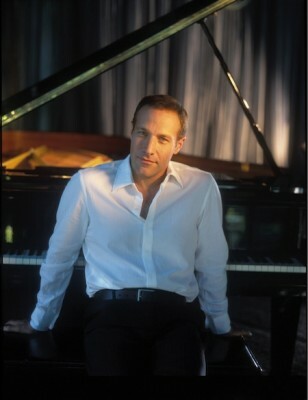 Ultimately, the slant came down to one universal theme: Jim Brickman’s desire to give something back. I spoke to Jim four days after the sudden death of Gerald Levert, who appears on the Escape album with Jim in the duet, “My Angel.” I’ll let our conversation speak for itself. JE: Hi Jim. Thank you for calling me. JE: First, I wanted to offer my sympathies on the loss of your friend Gerald Levert. JB: Yes, thank you. Very, very said. It’s so sad. JE: It is. I was just listening to his song a little earlier, and though I know it’s a lullaby, it seems almost prophetic. JB: I know. I feel the same way. It’s angels and everything, and it’s extremely poignant that way. JE: Will you be able to attend his funeral this Friday in Cleveland? JB: Unfortunately, no. I’m going to be on tour, and very sad I can’t make it. JE: How will Gerald’s death affect your upcoming concerts, insofar as addressing the loss with your audience? JB: I always feel like honesty is the best policy. When I talk about the album and I talk about the duet partners I’m going to address it in that area of the show. I’m not going to dedicate the song or anything like that, though I may dedicate another song. I just don’t want to set a complete cast over the show because you can’t do that. But I will definitely address it, no doubt. JE: Whereas rather than being maudlin, it celebrates his life. JE: You’ve said loyal fans inspired the idea for Escape, and with your Piano Sensations contest and new website and upcoming cruise, you’ve actually set somewhat of a precedent for new ways of artists getting directly involved with their fans. How will this change the landscape of interaction between fans and musicians? JB: Wow. Wonderful question. I think because the music is so intimate, and because it is a solo performance primary, it is by nature a more personal experience than to listen to a band or something like that. Because I write all the music myself, it’s even more personal. And people take it to mean whatever they happen to feel at any given time. Some people find solace, some people find comfort, some find a celebration of an important emotional time in their life, and the music is really used in so many ways. People wake up in the morning to it as their alarm clock. You can’t get much more personal than that. And of course we all use music as the backdrop of our lives. But, because it is so intimate, I feel I have a responsibility to communicate with the audience maybe a little more so than the average singer would. JE: What was it like working with Sara Evans? JB: It was great! You know, she’s a sweet girl, and she’s talented, and when I recorded with her she was also training for Dancing with the Stars so she was very busy but she loved the song and she loved the tone and the meaning of the song, especially for her kids and things like that because it’s about wishing somebody close to you all good things. JE: Now, the young acoustic violinist David Klinkenberg, you discovered him in the Northwest? JE: Can you tell me a little bit about him? JB: He’s very, very talented and he’s going to be on the holiday tour with me. He’s just tremendous. There’s a spirit, something about him, in his playing that… I don’t know… you hear it and it just transports you. But live, he’s especially poignant. JE: You’ve said you’re not a great singer but do sing a bit in concert. Will you be singing in Omaha? JB: I do. And I will. I’ve got a male singer on the tour, but I do some group singing and I think I’m going to be singing one song from my new Christmas album, the Christmas romance album. JE: I’ve noticed your website not only has a whole new look, but a host of new features like the Media Center, E-cards, a Scrapbook and other fan-related options. What new technology or design technique do you find is most effective for interacting with fans? JB: Well, first and foremost, I want it to be easy. I want it to be really easy. Easy to buy something, easy to do business, easy to have good customer service, easy to write a fan letter or to communicate, easy to find directions to a tour or city. I think the most important thing is not trying to be so overcome with the ego of the site that you want it to do all these things just to look pretty. I really want it to be there to be used and to be where all of the audience can connect with it. JE: It’s set up very well, easy to navigate, and I’ve found the pages load quickly, even with all the graphics. JB: I run a company [Brickhouse] that does web design for other artists, and so I pride myself in that because we do the web sites for Michael W. Smith and Amy Grant and Mark Schultz and a lot of other people. JE: You also have your radio show, “Your Weekend with Jim Brickman.” Can you contrast the difference between being interviewed versus you doing the interviewing? JB: Well, I’m so used to it because I’ve done the show for ten years, and I love talking to other people about what inspires them and make them create and all that, and I think it’s fascinating. JE: Which one do you find easier? JB: If the interview is good — like you ask really interesting questions — then it’s fun to talk to you. If it’s just the basic 4-11, then it’s not that fun. Because all that stuff you can find very easily on the website. But I like both. After a number of years, you kind of get sick of talking about yourself. JE: Well, that’s a first. I haven’t heard anyone say that before. JB: Well, you know, I mean I love doing what I do, and sometimes I like to articulate it, but not always. JE: I was thinking about one of my favorite songs — The Gift — and I notice that in a lot of your songs there’s a metaphor of a gift. What was the most unexpected or wonderful gift you ever received? JB: Oh wow. Well, I’m not very materialistic as is evident by the tone of the songs. I really prefer gifts at non-gift times. Like one time I was dating this person and I was sick with a cold but I was on tour, and I got a knock at the door and it was the concierge of the hotel bringing me all this flu and cold medicine in a basket with all kinds of stuff they had called the hotel and arranged. Stuff like that, to me, is more compelling than just an iPod or something. JE: That’s an excellent answer. JB: It’s not a present, but it’s a gift. JE: With the release of your album ‘Grace’ — and not just you but with other musicians as well — we’re starting to see songs about God and faith crossing over into mainstream sales rather than just the Christian market. JB: Yes, you’re right. You’re right. JE: Do you attribute that to the war or is it just the timing is right or is it people are just finally connecting with their faith? JB: I think it’s all of those things. I think people want to believe in something, and especially at a time when the world is so chaotic. It’s a time when people want to have a faith and want to believe in their faith. JE: Is there any other Christian composer you’d like to collaborate or work with on a song or duet? JB: I’ve always wanted to do something with Steven Curtis Chapman and always wanted to do something with Amy Grant. JE: But you do Amy’s website. JB: Yeah (laughter), and we’ve talked about doing something but the right time hasn’t come along yet. JE: When I talked to you in 2001, you said one day you might like to write a theatrical production, like a stage musical or something. Are you still thinking about that? JB: I am. I am. It’s not in the works but is something I’m definitely thinking about doing because I love theater. I love live theater. I think there’s nothing like going into a theater and being entertained, and especially with the fact that music is comprised these days where you don’t necessarily have to be talented to make a good record because of all the gizmos that you can use. The one thing you can’t fake is live performing. JE: Tell me a little bit about your Piano Sensations contest. JB: We had some great entries, and the winner is going to perform with me on stage in Chicago during the Christmas tour. [The contest] was specifically designed for pianists because singers always seem to be the draw for things like American Idol and contests like that. As a piano player and as somebody who has music books people take piano lessons from, I felt like it’d be kind of cool if there was some sort of mentorship going on somewhere in my career. JE: Why is it so important to you to give back to others? JB: Well, because I didn’t really have anybody guiding me growing up, and I had to sort of find my own way. And you know, we all have to in many ways, but if I had had somebody who believed in what I was passionate about in my career to ask questions of or to watch and learn from, even if I didn’t know them, I think it would have helped me. JE: But you’ve done very well despite that. You have a natural talent, kind of an innate sense for the music. JE: But you don’t see a lot of musicians who are willing to interact like that with their fans and give back and draw them into the process. It’s like they are just slightly out of reach. JB: Yeah, well I want to have fun doing it, and if I become elitist, then it’s not really fun anymore. JE: When I last spoke with you, you said your favorite song was ‘Angel Eyes’ because it “defined your style.” With all the songs you’ve done since, is it still your favorite? JB: It is. It is. And it’s for the same reason. JE: I’m sure you’ve heard the old adage about how every person that comes in and out of our lives teaches us something or somehow makes us a better person. What lesson did you learn from Gerald [Levert]? JB: Again, I have to be honest about it. I’ve had a lot of duet partners and singers, but Gerald was doing it for the right reasons. He was not punching a time clock. He wasn’t trying to fit in the vocal session between [other things]. And I so admired that. And it was such a pleasure. I remember in the session I asked if we could film something for my website, something of him singing, and he said ‘Yeah! Of course!’ And he was there by himself, no entourage, and it just reminded me why I’m doing this, that there are really wonderful people like him who are out there and just doing it to make music because it’s their gift and it’s who they are. And you know, you can feel that in people. He was very satisfied. You could tell after he’d sung that it gave him joy to share his talent. I look at his picture on my website and it’s like this… such a joyful expression and so happy. And he lived in Cleveland; he didn’t live in L.A. He stayed in Cleveland and he had kids and his wife, and… I don’t know… it made it even sadder because of it. JE: With some people, it never goes to their head. They never forget where they came from, and they stay with it because they’d do it even if they weren’t getting paid for it. JB: Yes, of course, of course. I just think, well, I’m doing this because I love it and for no other reason. So I think he taught me that, and it makes me really sad to talk about it because he was just such a wonderful soul, and it’s just a terrible loss. And so young. Five years younger than me. We were teasing about it that day, that we went to the same high school, and he said “Yeah, but I’m way younger than you are,” and I’m just thinking Oh God, and this banter on stage, I wish you could hear it. I’m hoping we’ll put [our intro banter] on our website. He’d missed a sound check and I didn’t know if he was going to show up or not. I was on stage introducing him and I didn’t know if he was going to be there. And I said “And now, ladies and gentlemen,” and it was kind of like The Sound of Music … “and now, the family Von Trapp,” and sure enough, there he came. JE: I hope you do include it there. JB: I will work on doing that. Absolutely. Well, Jody, I’m just jumping on an airplane but want to thank you so much for your time. JE: Thank you, Jim, and I look forward to seeing you December 4th. JB: Please make sure you come up to me, okay? I would be remiss in not thanking you in person. Okay? JE: Okay. I will do that. I’ll see you then! JB: Thank you so much. True to her word, Jody — along with her mother, daughter and two sisters — attended Jim’s concert and met with him afterwards. Click Here for the photos.